In summary, Matt, you are wrong. Now, there are a lot of people that think you (Matt Walsh) are wrong, all the time. But that is often because they disagree with your principles of religion, spirituality, and morality. I disagree with your conclusions, not your principles. I think your vision on suicide is too narrow, and you have missed the mark. I think you have a responsibility to speak from a position of great influence with more care and nuance, and to better represent the spiritually-based life. You state, over and over again in your article, that suicide is a choice. That Robin Williams chose to do this to himself. I ask, how can you *possibly* know that? Surely you recognize, as a student of human nature (both biological and spiritual) that a person's behavior is never just one thing. Yes, YES, we have responsibility for the actions we elect. I am certain of that. But we also inhabit a complex system of influences. Genetics, culture, family, history, chemistry, whimsy, temptation. To presume that any person can look at another's choice, and conclude how much of the choice was personal agency, and how much was external factors is ... ludicrous. We, individually, can only ever truly be certain of what we, individually are responsible for choosing. Only we can know our own guilt. I suspect that you feel some obligation to speak out, a cautionary voice to warn anyone who is feeling suicidal. 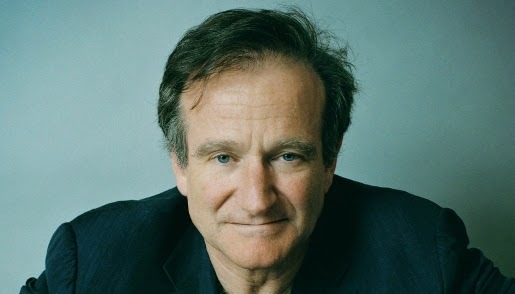 I imagine that you think expressing sympathy or sorrow for Robin Williams will somehow encourage or enable someone who's depressed, as you say, it will be "the last straw." The specter of copycat suicides is a horrific worry that everyone is always aware of at a time like this. As a culture, we are empowered to judge behavior as acceptable, or as not acceptable. Suicide is something we should judge as unacceptable. And you are right to speak out against turning the conversation into a complete abnegation of personal responsibility on the part of the person who attempts suicide. We, as a culture, as a race, must be unequivocal that Suicide is wrong. But in your effort to speak out, you have assumed knowledge you cannot possibly possess. You assert that making suicide analogous to other causes of death (beyond the control of the suffering) somehow steals hope. Hogwash. This is not like coddling a vandal, or a thief. You aren't going to spark a cultural shift towards suicide if you express sorrow or sympathy for someone who has committed suicide. It is like the public forgiving of an addict, the embracing of someone who is anorexic. People suffering with conditions so severe that they might contemplate suicide, they *NEED* to be able to surrender the burden of the suffocating pain. They need to know it is *NOT* something they are in control of, and *NOT* something they will be judged for feeling, so they can get help. From the outside, from others. Yes, it is critical that as a culture we do not praise the choice to suicide, that we condemn the act and plead with any contemplating it to choose life. But it is the act we condemn, not the actor. Love the sinner, hate the sin; when condemning an immoral behavior, we should always frame the condemnation in the abstract, not label specific people as examples of the immoral behavior. "I don’t understand how theists, who acknowledge the existence of the soul, think they can draw some clear line of distinction between the body and the soul, and declare unequivocally that depression is rooted in one but not the other." How can *YOU* declare that depression is *ONLY* rooted in the soul? Your standard of joy, of choosing life, of not electing self-destruction, that is all laudable, and I agree with them! But I am certain, on behalf of those who suffer from depression (and the family members who collaterally bear that burden), you have done great harm in expressing such a thoughtless opinion, so lacking nuance and understanding. No one admires Robin Williams for his death. I don't think anyone in this public dialog is asserting that someone who commits suicide has NO choice in the behavior. But when they express sorrow for the event, they are expressing a compassionate uncertainty of HOW MUCH choice he had, and attempting to comfort the people left behind. Shame on you for using such a public forum to judge another human being when you have neither the authority or information to justify your opinion. Your tone, your judgmental stance, your repeated insistence on framing Robin Williams' death as a cruel choice he is alone responsible for, embodies much that the non-religious find despicable about the religious. Where is your compassion for the suffering? How is heaping judgment (which, again, I insist you cannot possible have enough information to render) on someone who is gone bringing greater joy into the world? It doesn't matter what percentage of depression's cause is spiritual, what percentage is chemical. The answer is the same. People who are suffering, they need to feel joy, have friends, be medicated, get counseling, seek God, feel connected, choose life. They need the full spectrum of possibility, help and hope to have a chance of combating the black hole of depression. And they need those possibilities to be offered in an atmosphere of tolerance, respect, and welcome. An invitation, lacking judgment. When someone reaches the end of their mental and spiritual rope, they are no longer rational. I agree with your statements that we are meant for life, and for joy. But I sincerely believe that if a spiritually-minded person read your blog while they were depressed, they would feel judged for contemplating suicide. And that's not helping them. If someone is contemplating suicide, or any kind of self-harm, they should call the hotline (1-800-273-8255). I have an open, standing invitation to all who might feel that way to call me personally. John Landbeck is the Husband of one wife, the father of six children, and the father-in-law of one son-in-law. He loves them all.